Truth be told, I haven't baked cookies since Valentine's Day. Well, actually, I did bake cookies for St. Patrick's Day and Easter, but when it came time to decorate them I was too busy and stressed out to use a piping bag. But when my mom called last week asking for some cookies for a friend's daughter's bridal shower, I couldn't say no. And I didn't want to -- it had be far too long since I mixed up a batch of icing! 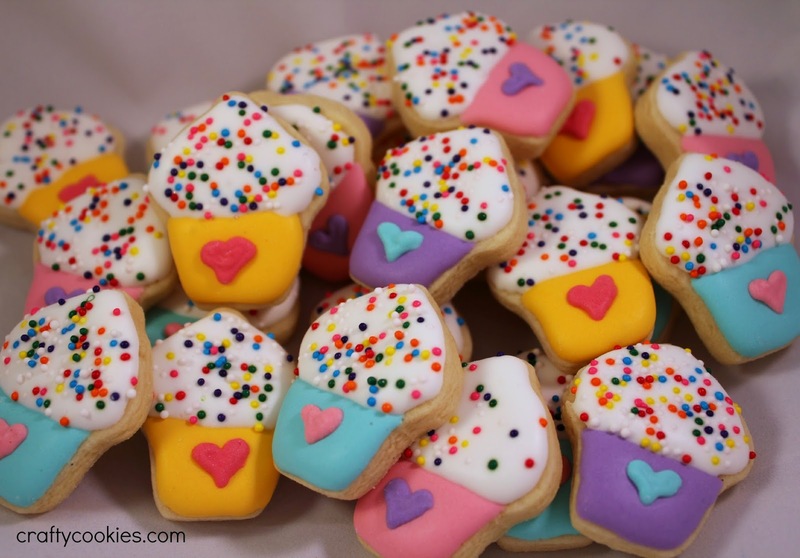 While I forgot to take pictures of the cute little flower cookies I sent, I was able to make these mini cupcake cookies using extra dough and leftover icing. Aren't they cute? Each cookie is about and inch and a half high, making for one sweet bite. These cookies will be going to school with me tomorrow for some sweet teacher friends of mine. With school winding down for summer, I look forward to baking and posting more. 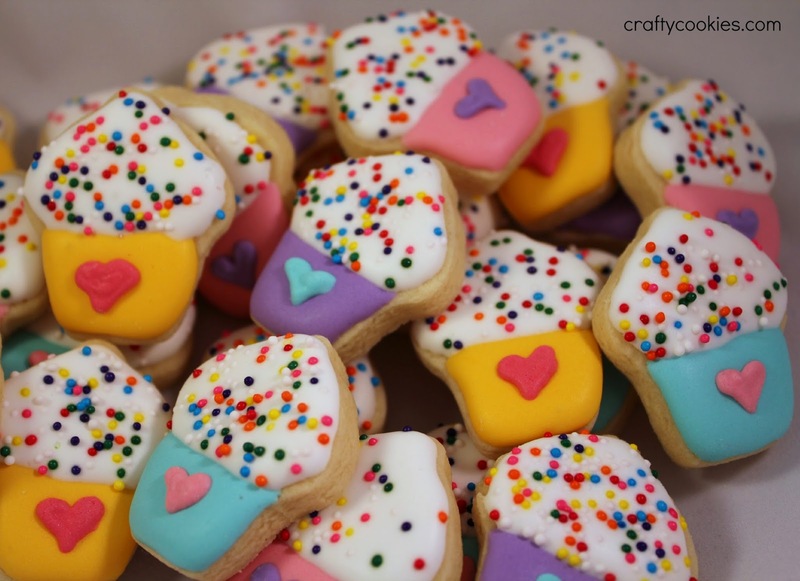 Stay tuned for more cute cookies!